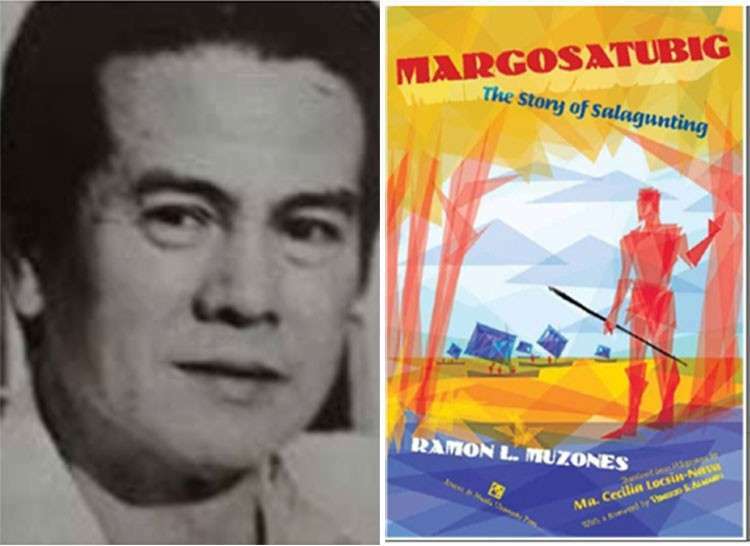 National Artist Ramon L. Muzones and his book "Margosatubig: The Story of Salagunting"
* "IS HE OR SHE IN THE BALLOT?" Printing of ballots for the May 13 elections is scheduled for January 23-25. Which means the list of official candidates will be released "before the said dates" when the ballots will be on the presses. 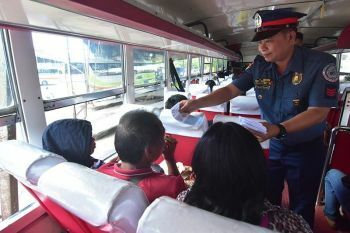 Comelec spokesman James Jimenez said that means (1) the poll body will have ruled already on the complaints filed against candidates and (2) the affected candidates "have been given the opportunity to take advantage of the remedies." But what if the Comelec erroneously rules on a case amid the rush to dispose of all the complaints before the printing? Jimenez didn't say but the inclusion of one's name in the ballot shouldn't take away the right of a complainant to appeal the Comelec ruling to the courts. But their names are already in the ballot. That's one major obstacle removed. Serge Osmena and Koko Pimental are among the subjects of complaint. Complainants also seek to disqualify two BOPK candidates for Cebu City councilor, Sisenio Andales and Alvin Arcilla, and aspirant for Cebu governor, Gwen Garcia. "Am I in the ballot?" is the question that a challenged candidate will be asking these days. The awardee in the 2018 Order of National Artist who hogged Cebu's attention and admiration was, of course, its own: Resil B. Mojares. Hardly mentioned in local media was the other awardee in the field of writing: Ramon L. Muzones. 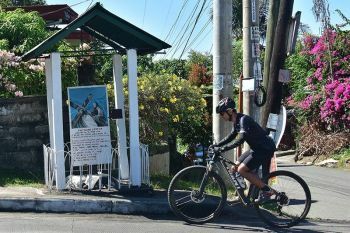 The less known fact, especially to those outside Iloilo where Muzones was born, is that the award was posthumous, given more than two and a half decades after his death. According to "Panay News," he was born on March 20, 1913; CulturEdPhilippines said he died on August 17, 1992, at 79. While Mojares writes in English, Muzones wrote only in Hiligaynon. 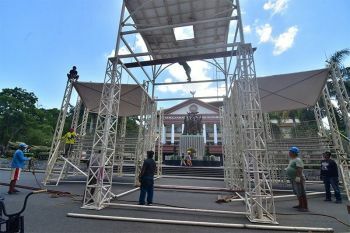 Both Mojares and Muzones broke precedents in the 45-year National Artist history as the "first-ever" writers from the provinces to win the award. Muzones was, take a breath, a Hiligaynon writer, poet, essayist, critic, grammarian and lexicographer, newspaperman and editor and, aha, a lawyer and politician (a councilor). With all that, he was able to write 63 Hiligaynon novels. Muzones thus was the first vernacular writer from the regions to be recognized as a National Artist. Previously, writers in English or the national language dominated the scene. But it took Muzones 26 years, after his death, to get the honor. But he was not unrecognized before. He was named the Most Outstanding Hiligaynon writer of the Century during the centenary of Gawad Bonifacio sa Panitikan in 1998. Muzon also won the 1989 Gawad sa Sining trophy from the National Historical Commission of the Philippines (NHCP) and the 1988 Gawad Bonifacio National Achievement Award from Unyon ng Manunulat ng Pilipinas. Muzon's serialized "Margosatubig" reportedly raised the circulation of the vernacular Yuhum magazine from 2,500 to 37,000 in the 30 weeks that the novel ran, thus making it Hiligaynon literature's first bestseller. Foreign Affairs Secretary Teodoro Locsin Jr., "puzzled" over the policy of the Department of Foreign Affairs (DFA) requiring the birth certificate for a passport renewal, exchanged tweets Thursday (January 3) with an Filipino overseas worker who griped about the requirement. Locsin asked: "Why even need to show birth certificate when he is holding a government-issue passport that's expired and he wants it renewed..."
"Passports are not prima facie evidence. They are conclusive evidence that you are what your passport says. Otherwise you will need to show video of your parents copulating, you gestating in the womb, being delivered and growing up sufficiently to look like you do now." Writer, editor and former legislator Teddyboy Locsin was exaggerating. All that was asked was a document that the re-applicant is presumed to keep with him forever but often does not. But Locsin made his point of government's bureaucratic repetitiveness.